The Israel and Overseas Committee allocates money to several grassroots organizations in Israel, including Beit Tefilah Israel, which gives people the tools to create and hold Kabbalat Shabbat services and Jewish holiday ceremonies throughout Israel. Q: What is your role with the Israel & Overseas Committee? A: I am the co-chair of the Israel and Overseas Committee along with David Weiskopf. Our amazing committee consists of approximately 15 dedicated volunteers, some of whom represent different boards and committees that are strongly connected with Israel and Israeli causes. Others on the committee joined following their experience on the 2016 Congregation and Community Mission to Israel. Many of our members serve as committed leaders of the Partnership2Gether (P2G) Steering Committee, the Jewish Community Relations Council (JCRC), and even as the chairs of Israel at 70. All the members care deeply about Israel and about strengthening our local connections and investments in Israel. Q: What did the Annual Campaign allow Federation to invest in this year in Israel? A: The Israel and Overseas Committee directed monies again this year to support grassroots programs that are happening in Israel and that share our mission of advancing religious pluralism in Israel. The I&O Committee feels that this is a core value of our own Jewish community and that investing in these programs is one of the most effective ways to achieve our goals of encouraging respect for diverse expressions of Judaism. We believe this will strengthen Israel as a Jewish and democratic state and will allow North American Jews to remain connected to Israel, as many find it difficult to identify with a state that doesn’t guarantee equality for different choices of religious expression, including their own. 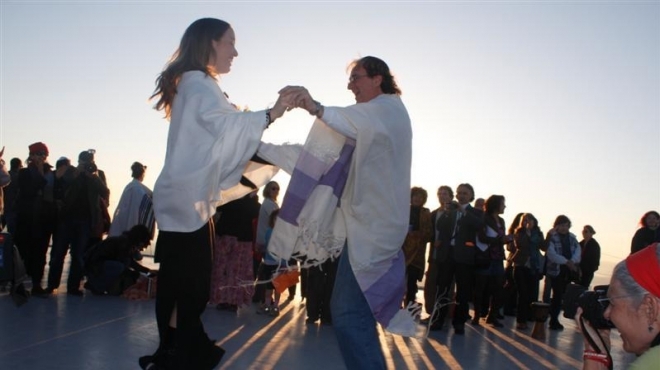 A portion of the Federation’s Global Allocations are given to organizations that promote pluralism in Israel, including Israel Hofsheet, an organization that strives for cultural and religious pluralism and protects civil rights, including freedom of marriage. Our first focus has been on promoting freedom of marriage choice. 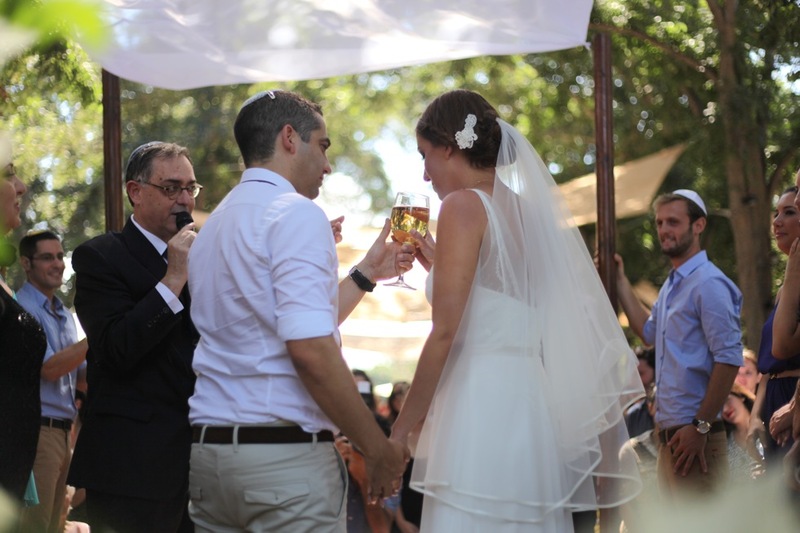 We were the first to support the Jewish Federations of North America’s (JFNA) Israel Religious Expression Platform (iREP), which has in less than three years strengthened the trend in Israeli society to support alternative marriage options. Since 2015, we have expanded our efforts to include freedom of religious expression and Jewish education. Q: For local allocations, the Planning & Allocations committee makes a site visit to each organization in order to better understand their needs. What does that process look like for global allocations? A: Because the Israeli organizations receiving funds are located in Israel, making a site visit is not always possible. That is why we rely heavily on the input of our former Israeli Shlicha Noga Maliniak, who works on behalf of the Jewish Federation as our representative in Israel. Noga gathers RFPs (request for proposal) and meets with the different Israeli organizations to assess their effectiveness. She assists us with making good choices when reviewing the grant applications of some of these programs. Our current Shlicha Maia Morag also helps in this regard, as do our representatives of the Jewish Agency for Israel and the American Joint Distribution Committee (JDC)—Hal Applebaum and Alex Shklar—who represent our key partner agencies in Israel and abroad. Every year, each representative reports to our committee on the work their agencies do in Israel and Overseas and report on the impact that our funding has on core programs of both agencies. While most of our core funding goes to these two agencies, this year we chose to invest in two additional Jewish Agency for Israel (JAFI) and JDC programs. Through JAFI, we are supporting Nativ. The program is a 4 ½ week, pluralistic Jewish and Zionist educational program for soldiers who are of Jewish descent but not considered Jewish according to Halacha (Jewish law) or have limited knowledge of Jewish history, tradition, and observance. Nativ provides a safe space for immigrant soldiers, about 80% from the Former Soviet Union (FSU), to learn about their roots, solidify their connections to Israel and the Jewish people, develop personal connections to Jewish practice and culture and, for those who are eligible and choose to pursue conversion, embrace the full benefits of recognized Jewish status. 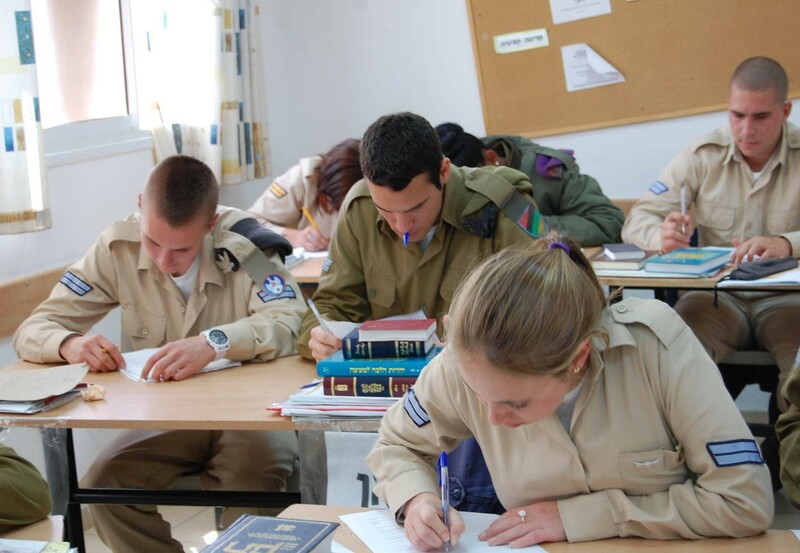 This year, the Federation will fund the Jewish Agency for Israel’s Nativ, a pluralistic Jewish and Zionist educational program for soldiers, most of whom are from the Former Soviet Union. Through JDC, we are supporting seniors in Russia. The FSU still lacks coherent social safety nets for their poorest citizens. Elderly Jews on minimal pensions struggle to meet critical daily needs amid rising prices, costly and often unavailable medicine, and inaccessible care. JDC’s program addresses the critical material and emotional needs across the FSU. Q: This year, the Israel & Overseas committee allocated funds to the Reform and Conservative congregations in Netanya for the first time. Why? Given we are a very pluralistic and diverse Jewish community here in Cincinnati, and the home of Hebrew Union College—Jewish Institute of Religion, we felt strongly that we should support the only Reform and Conservative synagogues that exist in our partnership city of Netanya. The two congregations went through the RFP process, met with Noga, and shared with the I&O Committee the nature of their programs. We decided to fund each of the congregations for one year at $7,500 each. Beth Israel, a Conservative/Masorti congregation, intends to provide a setting for their large neighborhood of secular Israelis to celebrate the new experience of Havdalah with musical accompaniment. Congregation Netan-Ya, the Reform congregation, plans to hold a series of lectures on the status of women in Judaism. Q: Looking ahead, what opportunities do you see for the Israel and Overseas Committee to make an impact in the future? A: We will continue to look for opportunities to promote religious pluralism, both on a large scale, through platforms like iREP, and also by funding Israeli grassroots programs. We will also continue to connect our board and other community members to Israel through high quality Israel programming, Israel advocacy, Israel at 70 events, P2G exchanges and delegations, Cincy Journeys trips to Israel, and ongoing hosting and interaction with our visiting Israelis—our Chaverim M’Israel, Israeli businesspeople, and Israeli doctors at Cincinnati Children’s Hospital Medical Center. Q: Tell me more about that program—visiting Israelis at Children’s Hospital. How does our Jewish community connect with this initiative? 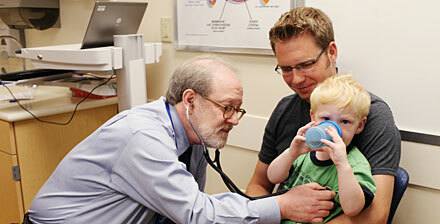 Cincinnati Children’s Hospital Medical Center (CCHMC) hosts Israeli doctors and nurses who come to observe for a few weeks at a time or as part of a medical school rotation. Primarily, though, we as a community get involved with the doctors and their families who come here for two to five years as fellows to do their post-doc training in their area of specialty. They come here under the auspices of the CCHMC Israel Exchange Program which combines Israel’s role as a global trailblazer in research, innovation, and technology, with Cincinnati Children’s leadership in delivering complex pediatric care. Cincinnati Children’s Hospital Medical Center (CCHMC) hosts Israeli doctors through their Israel Exchange Program, which combines Israel’s role as a global trailblazer in research, innovation, and technology, with Cincinnati Children’s leadership in delivering complex pediatric care. When this program began eight years ago, the two or three Israeli fellows and their families needed a lot of assistance to become acclimated to their new environment, and we as a community reached out to help them with things like getting a driver’s license or renting a car. As more and more doctors and their families arrived—we now have approximately 15 at a time—many of them have settled in what we affectionately call “Kibbutz Indian Creek” (the Indian Creek apartment complex in Kenwood), and they have begun to help each other with these day-to-day tasks, even getting in touch before they arrived. Now our role has evolved more into mainly welcoming them and getting them involved in our Jewish community. Having so many Israelis in our community who are eager to engage and volunteer, and most of whose kids go to Rockwern Academy and to the J’s summer camp, has truly changed the complexion of our Jewish community. So many new connections to Israel are being made organically through these daily interactions with these doctors, their spouses and their children. In addition, for many of these fellow families, this is their first exposure to alternative forms of practicing Judaism. Through their connections to Cincinnati Jewish community members, their volunteer work, and their attendance at community events, including participation in congregational life, they witness how Jews in Cincinnati celebrate holidays, attend synagogue, and send their kids to day schools to ensure a solid Jewish foundation. In Israel their experience has mainly been that you are either secular or Orthodox; here, they come to understand that there are many forms of Jewish practice and observance. We believe they will carry these experiences back with them when they return to Israel, and continue to carry on the alternative expressions of Judaism that they have incorporated into their lives while here. Click here to see the full list of global allocations.